Are you looking for one cent MLM leads? If so, you are in the right place at the right time. I want to share a simple strategy with you that you can use to generate your own one cent MLM leads. I learned this strategy many years ago from one of my mentors: Mike Dillard. I hope it helps you as much as it has helped me. Let me begin by telling you to stop being cheap. We are a weird industry where most people want big results, without investing any type of money or work. The mere fact that people even LOOK for one cent MLM leads actually disturbs me. You should know that cheaper leads are not always your best option, even if you don’t have much money to invest in leads. On the other hand, just because you pay MORE money for a lead, does not make it a better lead either. At the end of the day, the only thing that matters is your return on investment. In other words, how much money in revenue did you GENERATE from the money you spent on leads? If you can buy leads and be profitable in your business using those leads, who cares how much they cost you. Sometimes, cheaper lead sources are better and sometimes they aren’t. No matter what source you use, you need to test your results. Buying Leads or Generating Your Own leads? First off, let me tell you that purchasing leads is typically a waste of time and money for MOST people in our industry. Yes, it does work for some people, but for most people reading this blog post, it’s just not the best way to go. I’d rather generate my own leads than buy leads. Why? Because I am in control of the entire lead generation process. I set up the offer. I set up the lead generation strategy. I choose the target market. I build my own list. I know where the leads came from, and I don’t have to share them with anyone else. The leads are exclusive to me. Even though I love to generate my own leads, I don’t know of any lead generation strategy that in and of itself will let you generate one cent MLM leads, without doing a secret trick (more on that in a minute). In most cases, you will spend at least $1 to $5 per lead, when you are trying to generate your own leads. That’s my experience anyway. That’s still a pretty good deal, but I know you want one cent MLM leads, so this is what you need to do. You need something to sell your leads right out the gate. I like to call it a one-time offer, something priced between $20 and $75. I’m not talking about your network marketing opportunity or company’s products, either. You need an affiliate product you can promote that gives you an immediate profit. In most cases, this will be some type of training product, such as a video course, eBook, white paper, special report, etc. Rather than advertise your business opportunity, you advertise this affiliate product. Let’s just use a hypothetical example to put things in perspective. You have a monthly advertising budget of $500 for your network marketing business. You run an online pay-per-click campaign and generate 250 leads with that $500. That gives you a cost per lead of $2 per lead (not bad). Rather than lead with your business opportunity, you offer a training course that you sell for $49.95. Ten of your 250 leads purchase the course, which generates you an immediate $499.50 ($49.95 x 10). Once you subtract that $499.50 income you generated from the $500 you spent on advertising, you realize you generated tons leads, for less than a penny each. Not only have you recouped back your initial investment of $500 (50 cents shy of it), but you now have 250 leads that you can promote your products and/or network marketing business opportunity to, in the future. Assuming you have a good auto-responder follow-up sequence, and business opportunity, there is no doubt in my mind you should be able to recruit at least 2-5 of those 250 leads into your primary network marketing business. This is exactly how I build my own network marketing business and what I suggest you do. Yes, you can buy MLM leads online pretty cheap, for about five cents to fifty cents each, but at the end of the day you never really know what you are getting. In most cases, these leads are folks looking to make money from home (via a job) not someone looking to do network marketing. These leads have been sold to many different network marketers, and are typically worn out. That means most of the money you spend on these leads is money wasted because they won’t be interested in the type of business you are offering them. That’s why you want to generate your own MLM leads instead of buying leads. If you use the process I described in this blog post, you will have what is known as a self-liquidating offer. This is what the top recruiters do in their network marketing businesses. It works for them and it works for me. And, if you want one cent MLM leads, it’s the only strategy I recommend. I learned this simple concept in a great book titled Magnetic Sponsoring. It’s written by Mike Dillard. I first read this book back in 2009 and it completely changed my life for the better. You can read my review of it here. Or, you can order a copy of the book on Amazon right here. The bottom line is you get what you pay for. Yes, if you search the internet high and low, you will probably find someone to sell you one cent MLM leads. But, I could with almost 100 percent certainty guarantee you that you would be wasting your time and money with those leads. It’s much better to learn how to generate your own leads using a funded proposal, just like I explained in this blog post. That is my favorite way to get free or one cent MLM leads. Previous Previous post: What is My Purpose in Life? 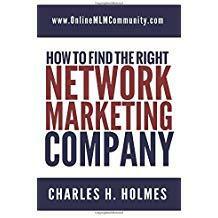 Next Next post: What Makes Someone a Great Network Marketer?